Are independent board directors good or bad for a company's performance? Concerns about their usefulness have been revived by the Royal Commission into Misconduct in the Banking, Superannuation and Financial Services Industry, with revelations of appalling behaviour at AMP and the Big Four banks – under the noses of independent directors. Since 2003, the Corporate Governance Council of the Australian Securities Exchange (ASX) has recommended that the majority of board members of all listed companies should be independent. Moreover, significant shareholders are deemed 'non-independent' and discouraged from serving on boards. But industry superannuation funds disagree. Their boards are usually not independent, but split between employer and employee representatives (unions) from the industry. Yet they control funds that perform 25% better, on average, than commercial or retail super funds which do have independent directors. The Australian government is trying to force all boards running super funds to have one-third of directors independent, but the legislation is struggling to pass the Senate. 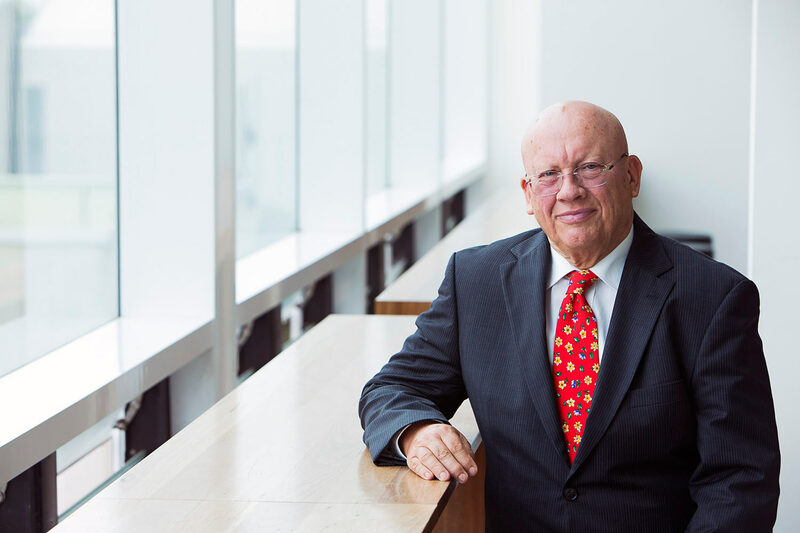 Last year, former Reserve Bank governor Bernie Fraser, in a review for Industry Super, concluded that the values, skills and experience of boards were more important than independence as such. Yet in May, the Productivity Commission reported in favour of independent directors and chairs – seeing it as a way to improve competition and accountability for all super funds, though adding, "to recruit highly skilled and experienced directors is at least as important as the number of independent directors". The Australian Institute of Company Directors advocates independent directors. So, too, did a 2014 Mercer Consulting report on independence requirements for super trustee boards. An author of that report, Pam McAlister, finds the present debate interesting in terms of defining the role of a director and therefore the value of the independent director. "Traditionally the role of a director has been to 'govern' rather than 'manage' and therefore the objectivity and challenge that an independent director can bring is worthwhile in this context," McAlister says. "But if we look at what is coming out of the [royal commission] and APRA's recent inquiry into the CBA, there is a strong suggestion that boards have not had sufficient 'finger on the pulse', which implies that directors need to really know the business and its people." While the political debate has made the worth of independent directors partly an ideological question, the hard evidence has been mixed on the worth of independent directors to firms. Research in 2016 by Alex Frino, a professor of economics at Wollongong University, suggests that ASX governance guidelines, and proxy firms that push companies to appoint generalist directors, are robbing boards of vital industry insights and sapping shareholder returns. Now the effect of independent directors on firms in the finance industry is the subject of a new study: Were Prestigious Independent Directors Responsible for the Subprime Crisis? by Peter Swan, a professor of finance at UNSW Business School, and Dietmar Leisen from Johannes Gutenberg University. The paper notes that inquiries into the 2008 global financial crisis blamed poor corporate governance, and called for greater board independence. The authors found this surprising as financial firms already had much higher ratios of independent directors than did non-financial firms. US banks that had to be bailed out by the taxpayer had particularly high ratios of prestigious independent directors, as required under their stock exchange rules. This led Swan and Leisen to question whether independent US directors, who did not have to be competent in understanding the complex financial products that disguised risky mortgages, were a cause rather than a cure for the crisis. The subprime crisis took place in the US, not Australia, and as Australian Shareholders Association CEO Judith Fox has pointed out, America is "no poster boy" for corporate governance. Yet there remains the general question: Are professional independent directors, instead of directors who know the company well, part of the problem? The reasoning being that high-profile independent directors are highly sought after, busier, but, though independent, are less able to carry out their duties due to distractions. Distinguished independent directors were serving on the board of companies such as US-based international insurer AIG, which sold risky mortgage insurance without adequate reserves. AIG required a US$180 billion government bailout in what was described as a "profound failure of risk management and corporate governance". With ever more complex financial products, understanding risk requires intimate knowledge of finance, banking, and financial markets. Yet, the US only requires independent directors to have a general knowledge of the banking industry and regulations governing the firm. Swan and Leisen's research investigated the board structures, performance and risk characteristics of 890 US banks from 2000 to 2015. Their model looks at the interaction of variables such as company assets, board size, the pay-performance-sensitivity, prestige and years of tenure of the CEO, and the directors' independence, prestige and number of other boards they serve on. They found CEO's incentives, given by pay-performance-sensitivity, to be the main performance driver. And contrary to expectations, as incentivised CEOs get more powerful, the likelihood of fraud decreases. Yet the rapidly increasing number of independent directors in the 15 years of the study – 2002-05 saw US stock exchange rules require a majority of independent members on boards – offset this beneficial influence of incentives for CEOs. Even worse, increases in independent directors substantially curtailed the tenure of CEOs, which largely occurred for reasons other than share performance. As CEO option compensation plans were shortened, these temporary incumbents were forced to take a short-term view. Quite unexpectedly, the authors found that highly incentivised CEOs are conservative in that they reduce risk-taking with regular boards in place (with about 50% independent directors). But their risk-appetite increases as more independents join the board. "We find no direct evidence that more independent directors affect performance. However, we do find strong evidence that these more independent directors are poor performance monitors and, moreover, they induce a short-term perspective on to CEOs," says Swan. The research explores how risk characteristics drive performance. A bank would not fulfil its purpose if it did not take risks, such as by providing loans where the borrower may default. The expected returns should be commensurate with the risks taken. Measuring the risk-reward relationship is a daunting task, but adequate risk-taking should lead to improvements in future performance, within the planned investment horizon. The paper tracked how risk-taking changed before, during and after the sub-prime period. It argues that in the absence of independent and prestigious board members, board monitoring substantially reduced the tenure of poorly performing CEOs. But the presence of both independent and prestigious independent directors, whose job it is presumably to monitor, undid this excellent board monitoring effort. The authors conclude that the tenure of all CEOs, regardless of talent or ability, is curtailed by independent and prestigious boards. This poor performance monitoring by independent and prestigious boards turns otherwise highly beneficial incentivised CEOs into risk-taking and poorly performing managers with a short-term perspective. "In turn, these managers invested heavily in subprime loans with the inevitable result being the subprime crisis when these loans turned sour. These sour loans then morphed into the global financial crisis," the authors say.